Do you need to locate a replacement component, and you can’t wait for OEM deliveries? We may have it in stock, or we can find it. Lone Star maintains a large inventory of "surplus" parts and equipment to meet your requirements. We have a wide variety of components, including reciprocating, rotary screw and centrifugal compressors for operation with a variety of gases for petrochemical and industrial applications. 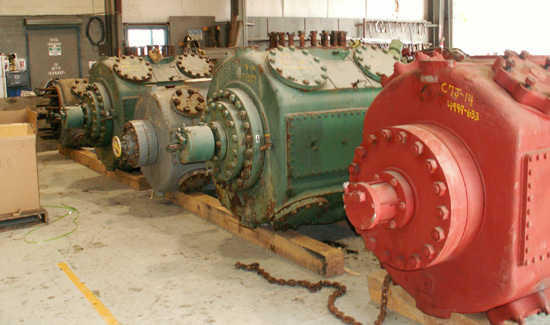 Our inventory also contains synchronous motors, induction motors and steam turbines. We can supply the components “as is”, or remanufactured. We inspect, measure and record dimensions of critical components before and after remanufacture to insure compliance with applicable tolerances and specifications. Our engineering personnel constantly monitor production to insure the highest standards are met.